Grilled chicken is one of my go-to meals in the summer. I like to toss it in marinade a few hours ahead of time so the chicken can soak up all of the flavor. In this case, the smoky + bold flavors of the Southwest. 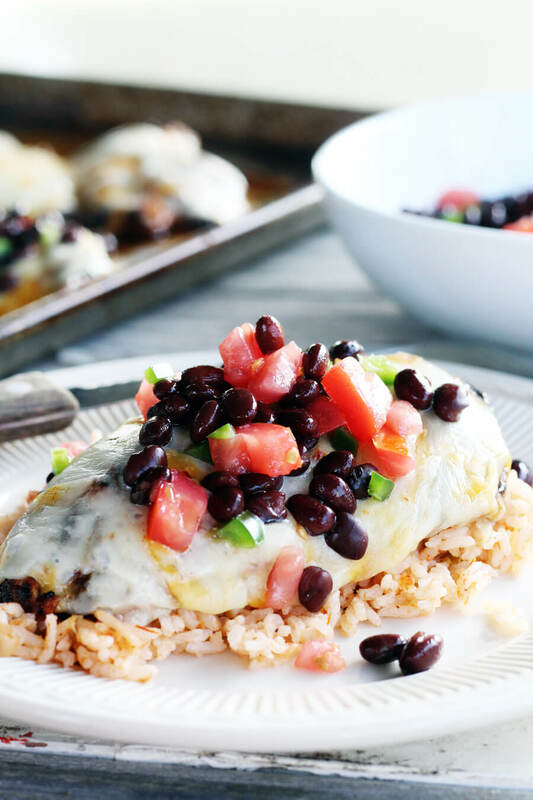 Cut boneless, skinless chicken breasts in half lengthwise to make smaller cutlet sizes. Prepare an easy marinade with olive oil, fresh garlic, lime zest and lime juice. Mix up a bold blend of spices (cumin, peppers, onion powder + more). 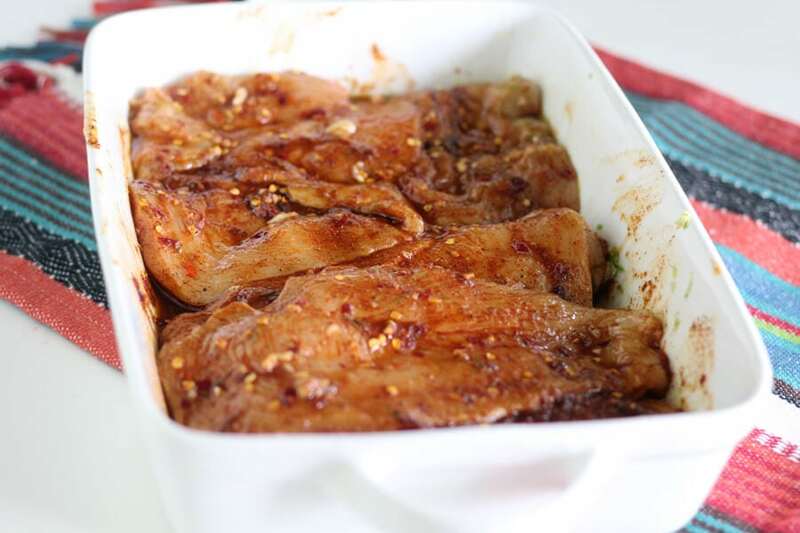 Toss the chicken in the marinade and spice blend and chill. All of the spices, lime juice, garlic and oil blend into this amazing flavor that is perfect with the chipotle blend cheese from Sargento. Make sure you start with a hot, clean grill so the chicken will not stick. This is a thick marinade, so a lot of the spice is going to cling to the chicken. (This is a good thing.) We cooked our chicken breast cutlets for approximately 5 minutes per side, rotating half way through each side*. *Always use a meat thermometer to ensure proper doneness. 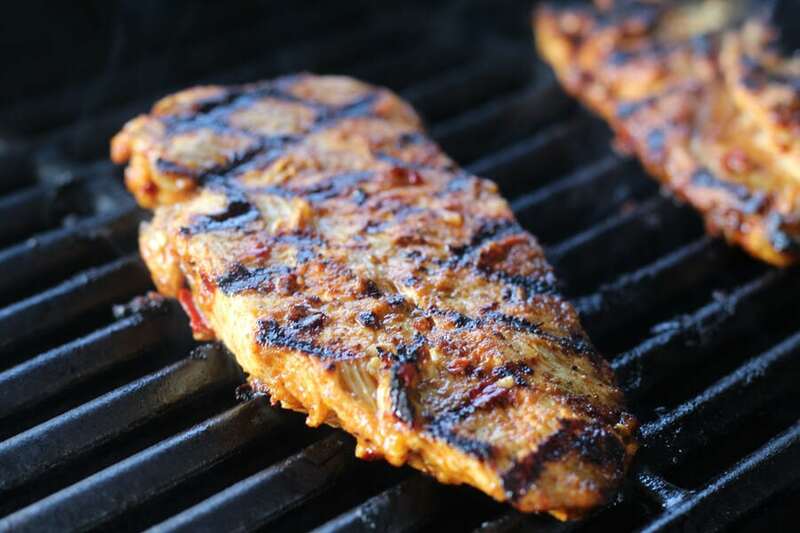 Cooking times will vary based on your grill temperature, type of grill, and thickness of chicken. Now comes my fave part of any cheesy recipe. Adding the CHEESE! 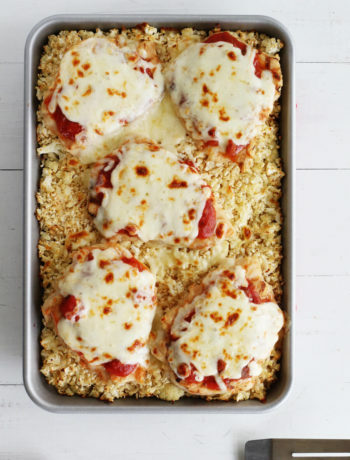 Once the chicken is done, transfer the breasts to a shallow pan and top them with one or two slices of Sargento Blends. For the bigger pieces of chicken, I used two slices. No bite of chicken is going without the cheese in my house, ya’ll. 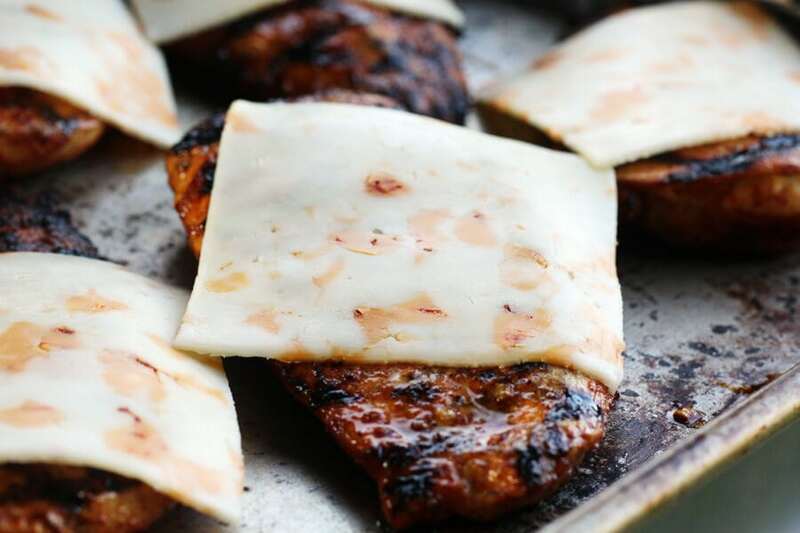 The Monterey Jack blended with cheddar, chipotle and spices melts and wraps around the juicy chicken. So good. 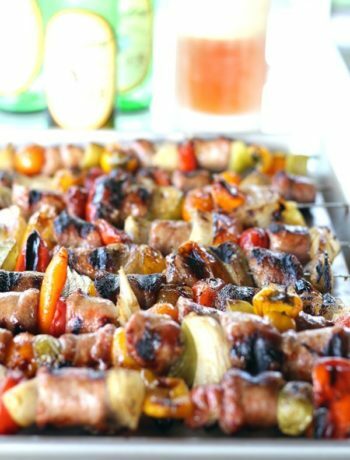 I promise, you guys are going to love me for this recipe. To get the cheese super melty, I simply placed the pan into the grill THAT HAS BEEN TURNED OFF and close the lid. Just a few minutes will create that ooey-gooey everyone loves. 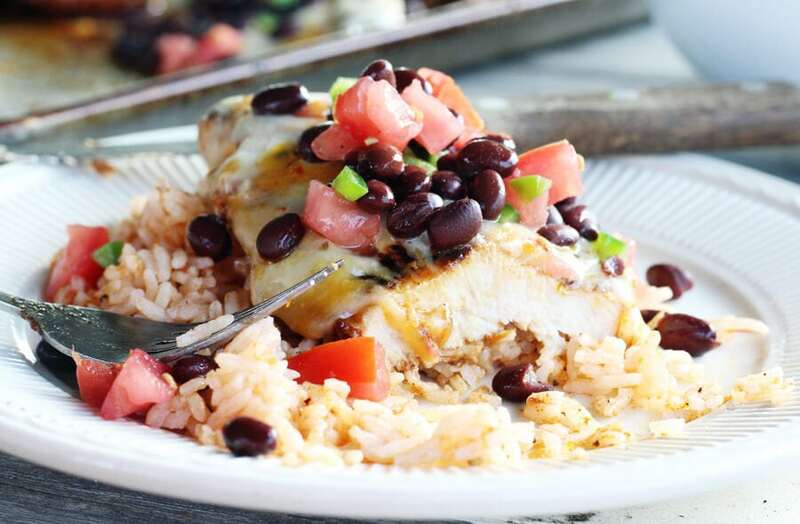 Serve this Cheesy Southwestern Grilled Chicken with our fast + fresh black bean salsa. 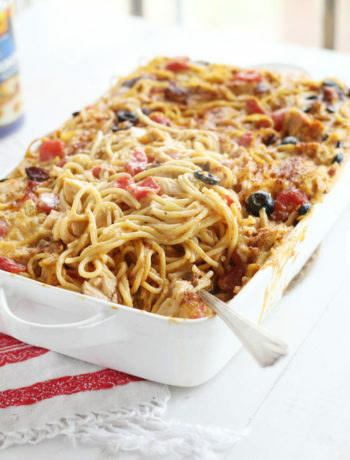 Seriously, just a few ingredients and a minute or two and you have another layer of flavor that blends with the spice, the chicken and the cheese. This meal is perfect with a light, green salad. 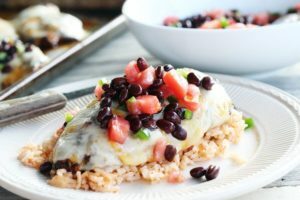 Or how about a serving of Mexican-style rice? 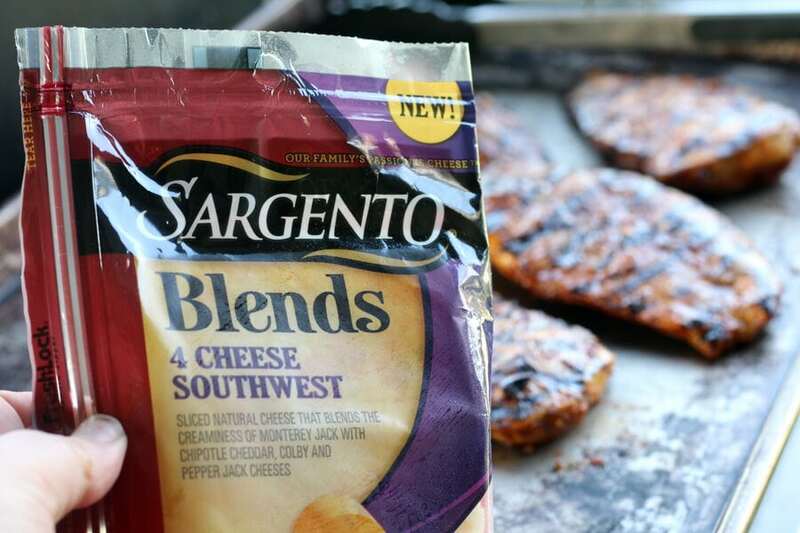 Slice and serve the grilled chicken with Sargento Blends Sliced Cheese on warm tortillas for a spicy quesadilla. Cool + creamy guacamole on top. Yes. Skip the rice and serve with shredded lettuce to cut back on carbs. Leftovers? Add another slice of cheese and make a Mexican Grilled Chicken + Cheese Sandwich. From July 1, 2018 – July 15, 2018, use this digital coupon for $0.75 off one Sargento Blends Sliced Cheese. You can also get the same deal in-store on shelf from July 16, 2018 – July 29, 2018 at Publix. 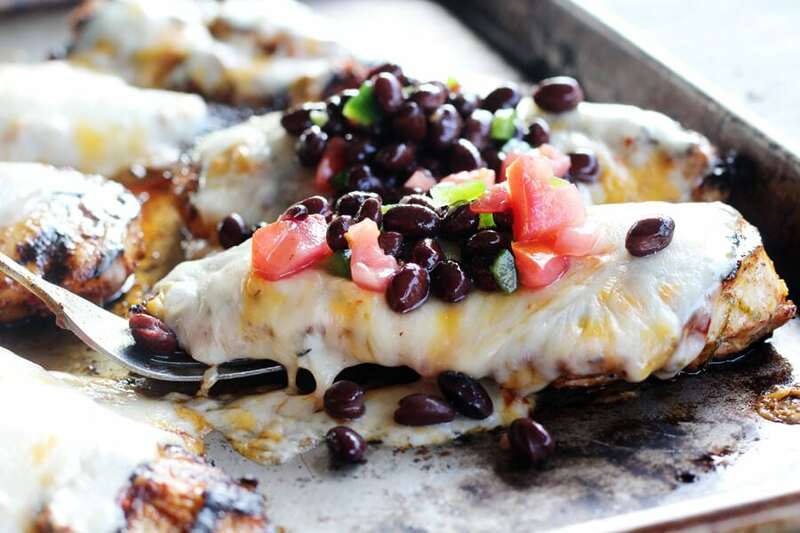 Tender, grilled chicken marinated in a bold + smoky blend of spices, topped with melted cheese and a fresh black bean salsa. 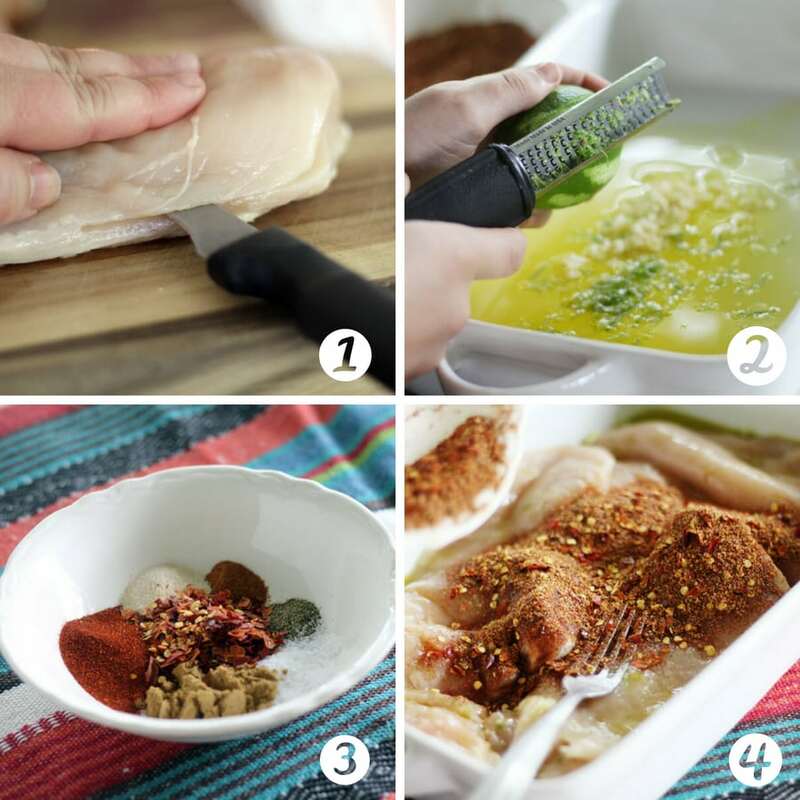 Cut the chicken breasts in half LENGTHWISE to create 6 cutlet sized pieces. Set aside. In a shallow dish, combine the olive oil, juice of half a lime, zest of one lime, garlic and honey. Add the chicken cutlets to the mixture, turning to coat both sides. Stir together the paprika, crushed peppers, cumin, onion powder, salt, pepper and cayenne in a small bowl. Pour over the coated chicken, and rub into both sides of the chicken until all pieces are well coated. Cover and refrigerate for a minimum of one hour up to four hours. During the last half hour of marinating, prepare the black bean salsa. 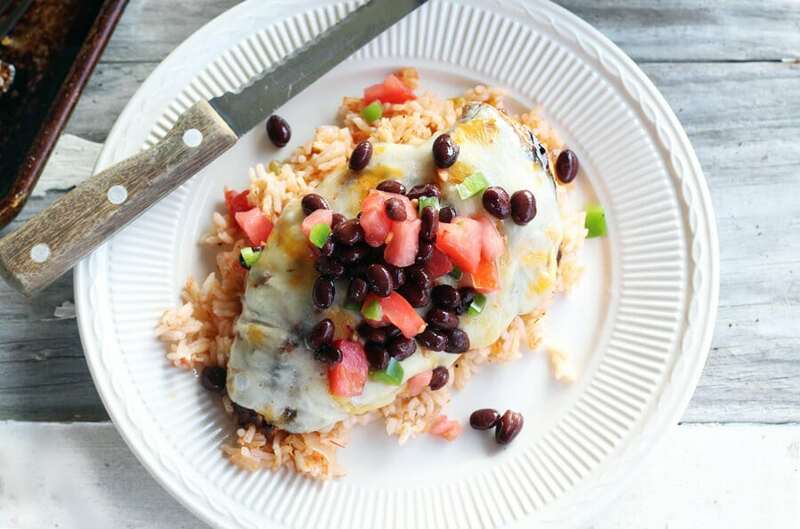 In a medium sized bowl, stir together the black beans, tomatoes, jalapenos, 2 tablespoons of lime juice and the sugar. Stir well. Season with salt + pepper to taste. Let rest at room temperature until ready to serve, stirring often. Cooking times will vary based on grill temperature, type of grill and thickness of chicken. Please use a meat thermometer to ensure chicken is properly cooked. Thanks, Ben! It turned out better than expected. My hubby gave me the two thumbs up, which automatically makes it a keeper around here.